Nima was born in Tehran into an artist family. His father Vali Shirandami was a pioneer in the Iranian Cinema Industry and still is one of the most successful actors in Iran. His mother Afrooz Nadervandi is also an actress who played alongside her husband Vali Shirandami at many theatre productions. At the very early age of five, Nima started to discover his passion towards singing. Having become inflamed by Spanish music, he decided to learn the guitar which has been a good companion to his voice ever since. At the age of nine Nima moved to the ancient city of Vienna to attend school and later the University in Vienna, where he completed his masters degree in international business administration which also included many languages such as Spanish, English, German and Persian. He visited the Prayner Conservatorium to enhance both singing and guitar skills. During his career Nima has played with a variety of musicians with great success throughout the world. 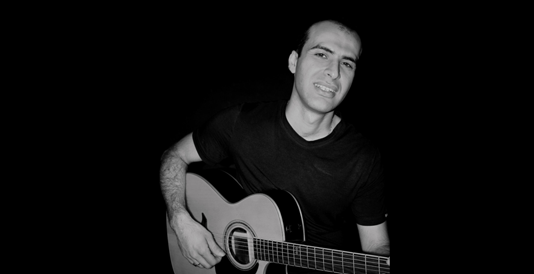 The influences of different guitarists helped Nima to enhance his styles and repertoire. Countries of performance include UK, Austria, lamenco combined with the soulful voice of Nima create an exceptional band formation.